Dr John James recently joined Warwick Medical School as an Associate Professor. He studied Biochemistry at the University of Oxford and stayed for a PhD with Simon Davis at the Weatherall Institute of Molecular Medicine. He then moved to UC San Francisco for a postdoc with Ron Vale as an HHMI/Jane Coffin Childs Fellow. In 2013, he moved back to the UK to start his own lab at the University of Cambridge as a Sir Henry Dale Fellow (Wellcome) in 2013, before moving his group to Warwick at the end of 2018. T cells are an essential blood cell-type in our immune system that can eliminate infections to keep us healthy despite constant exposure to pathogens. T cells contain an intricate signalling network, which must determine whether the cells of our body have become infected. Current methods to investigate this important system invariably also lead to its disruption. The James group overcomes this problem by developing new molecular tools so that the signalling network can be investigated while keeping it essentially intact. This is achieved by engineering T cell stimuli that are light-responsive, providing precise control over signalling in space and time. This enables questions about how T cells can calculate the appropriate functional response to be addressed directly, in a way not possible with standard techniques. The major goal of this work is to find parts of the decision-making network that could be fine-tuned by drugs to improve our immune system when T cell function becomes incapable of maintaining our health. Dr. Darius Köster received his PhD at the Institut Curie in Paris under the supervision of Drs. Christophe Lamaze, Pierre Nassoy. His PhD focused on the roles of caveolae in protecting the cell membrane from mechanical stresses. Funded by the AXA Research Fellowship and then a National Centre for Biological Sciences Post-Doctoral Fellow, he moved to the laboratory of Prof. Satyajit Mayor where he designed minimal systems to study the effect of actin and myosin dynamics on cell membrane organisation. After a brief stint at Warwick Medical School with Prof. Mohan Balasubramanian, he became QBP Assistant Professor and part of the Centre for Mechanochemical Cell Biology. Dr. Koester’s laboratory focusses on the effects of mechanical forces in remodeling the plasma membrane and the underlying actin cortex. Tissue integrity in a multicellular organism depends on neighboring cells forming contacts with each other. Concomitantly, during development, cells undergo programmed migration and must establish contacts with other cells in the new environment. Besides molecular and biochemical signals, mechanical cues have been found to play a critical role in both these processes, and their disruption has been linked to several human diseases, including cancer. Despite this, our understanding of how mechanical forces shape the cell in its tissutal context or how cellular mechanosensing is carried out, is relatively limited. To address these questions, our laboratory uses a combination of in vitro methods based on reconstituted, minimal systems of the cell membrane-cortex composite as well as live cells in culture. We also combine high resolution spatial and temporal microscopy combined with controlled mechanical manipulations, biochemical alterations, quantitative analysis, and theoretical modelling to understand the molecular basis of mechanosensing and how cells respond to changes in external mechanical forces. Ultimately, these would help define the role that mechanical forces play in maintaining the integrity of tissues and enable their manipulations in disease conditions. 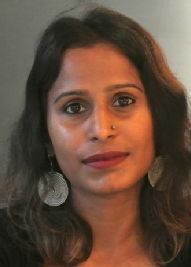 -Sinha B#, Köster D#, et al. Cells respond to mechanical stress by rapid disassembly of caveolae. Cell 2011, doi: 10.1016/j.cell.2010.12.031. -Köster DV, et al. Actomyosin dynamics drive local membrane component organization in an in vitro active composite layer. Proc. Natl. Acad. Sci. 2016, doi:10.1073/pnas.1514030113. -Köster D, et al. Visualizing acto-myosin dynamics at a membrane surface using interferometric scattering microscopy. biorXiv 2017, doi: 10.1101/199778. Following a phD at the Tata Memorial Centre Mumbai with Dr. Rajiv Gude where I studied the mechanisms involved in Melanoma Metastasis, I did a brief post doctoral stint with Prof. Alpha Yap at the Institute for Molecular Bioscience, Brisbane looking at the role of small GTPases in maintaining junctional integrity and cortical tension. I then moved onto studying macrophage migration an in vivo model system (Drosophila Melanogaster) at the laboratory of Dr. Daria Siekhaus at the Institute of Science and Technology, Austria where I was a Marie Curie Fellow and in October 2018 joined the Warwick Medical School and Centre for Mechanochemical Cell Biology as a QBP Assistant Professor where I established my research group. Cell migration through complex tissue barriers is a key driving force behind essential life processes such as embryonic development and immune homeostasis as well as pathological conditions such as inflammation and cancer metastasis. Within a living organism, cells do not migrate in isolation and hence understanding the mechanical and biochemical interactions between the migrating cells and the surrounding environment is crucial in understanding cell migration in vivo. Yet because of the technical challenges involved in visualizing these process live in vivo, not much is known about how these interactions facilitate migration in a complex tissue. My lab uses the migration of Drosophila melanogaster macrophages during embryonic development to answer these fundamental questions. Drosophila embryos provide an excellent model system where we can combine fast genetic manipulations with quantitative live imaging, biophysical tools and mathematical modeling. Currently the lab is focusing on two key aspects: (1) How do macrophages sense the stiffness of the surrounding tissues and alter their force generating machinery to facilitate migration? (2) How does the macrophage generated forces affect mechanics, cell fate and positioning of the surrounding tissues? -Ratheesh A et al. Drosophila TNF modulates tissue tension in the embryo to facilitate macrophage invasive migration. Developmental Cell. 2018, doi: 10.1016/j.devcel.2018.04.002. -Ratheesh A et al. Drosophila immune cell migration and adhesion during embryonic development and larval immune responses. Curr Opin Cell Biol. 2015, doi: 10.1016/j.ceb.2015.07.003. -Ratheesh A and Yap AS. A bigger picture: classical cadherins and the dynamic actin cytoskeleton. Nat Rev Mol Cell Biol. 2012, doi: 10.1038/nrm3431. -Ratheesh A et al. Centralspindlin and α-catenin regulate Rho signaling at the epithelial zonula adherens. Nat Cell Biol. 2012, doi: 10.1038/ncb2532. -Ratheesh A and Yap AS. Doing cell biology in embryos: regulated membrane traffic and its implications for cadherin biology. F1000 Biol Rep. 2010, doi:10.3410/B2-30. 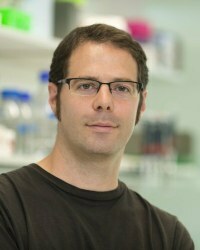 Dr. Michael Smutny became a QBP Assistant Professor following postdoc stints with Prof. Carl-Philipp Heisenberg (Institute of Science and Technology Austria) and Prof. Alpha Yap (Institute for Molecular Bioscience, University of Queensland), and a PhD under supervision of Prof. Erhard Wintersberger (University of Vienna). Developmental programmes and cellular mechanisms in the embryo are regulated by a complex interplay between biochemical and mechanical processes. Gastrulation holds a central role in embryonic development, as it is the stage at which germ layers become specified and specialized structures are formed as a consequence of complex signalling events and extensive morphogenetic rearrangements. Yet, the molecular, cellular, and physical mechanisms regulating these processes are far from being completely understood. To answer these questions the lab utilizes the zebrafish embryo as a vertebrate model system and uses interdisciplinary in vivo and in vitro approaches such as quantitative live cell imaging, biochemical assays, genomic analysis, and biophysical measurements. We are currently focused on two main events during early zebrafish development, the role of cell and tissue morphogenesis in the development of the early central nervous system, and the role of mechanical forces in mesendoderm collective cell migration. - Smutny M, et al. Friction forces position the neural anlage. Nat Cell Biol. 2017. doi: 10.1038/ncb3492. - Ruprecht V, Wieser S, Callan-Jones A, Smutny M, et al. Cortical contractility triggers a stochastic switch to fast amoeboid cell motility. Cell 2015, doi: 10.1016/j.cell.2015.01.008. -Smutny M, et al. UV laser ablation to measure cell and tissue-generated forces in the zebrafish embryo in vivo and ex vivo. Methods Mol Biol. 2015, doi: 10.1007/978-1-4939-1164-6_15. -Smutny M, et al. Myosin II isoforms identify functional modules that support integrity of the epithelial zonula adherens. Nat Cell Biol. 2010, doi: 10.1038/ncb2072.